This administration has consistently acted in ways that show utter contempt for the Constitution and the Rule of Law as well as the separation of powers. In so doing, this administration has created an environment of mistrust by the citizens of the United States that go to the very heart of our Democratic Republic. The Attorney General, as the head of the Department of Justice is responsible for leading a large number of federal agencies among which are law enforcement agencies including the FBI, DEA, ATF, the U.S. Marshals Service and a long list of others. I have posted the list of all of these agencies below- please take the time to review that list of agencies that answer to the Attorney General- you may be surprised to see just how many agencies operate under the jurisdiction of the Justice Department. 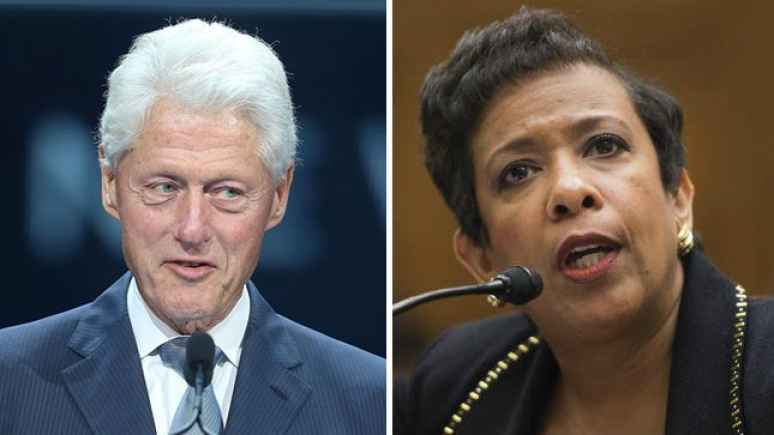 Today, June 30, 2016, my article for FrontPage Magazine focuses on a meeting between former President Bill Clinton and the Loretta Lynch, the Attorney General who heads up the Justice Department. This meeting would not be of particular concern if it was not for the fact that Bill Clinton’s wife, Hillary Clinton is not only the apparent Democratic Party’s candidate for the upcoming Presidential Election but is also under criminal investigation by the FBI, an agency that operates under the aegis of the Department of Justice- the federal agency that Ms Lynch heads. While we make note of the agencies that operate under Lynch’s leadership we must include the United States Attorneys Offices in each and every district in the United States- these are, of course the federal prosecutors. The charges potentially facing Hillary Clinton are extremely serious- she may have committed felonies including some that involve matters of national security. It has often stated that we are a “Nation of Laws.” This is far more than a slogan- or at least it must be more than simply a slogan. The point to that simple three word phrase is that all people are to be treated equally and objectively under our laws without any preference. While Ms Lynch’s account of the meeting in which she portrayed it as simply a social meeting that did not include discussion about the ongoing investigations of Ms Clinton, there is no way to corroborate that claim. Additionally, that meeting may have served to prejudice the way that Ms Lynch will ultimately make the decision as to whether or not to proceed with a criminal prosecution should the FBI bring evidence to her that such a prosecution should go forward. The bottom line is that that 30 minute meeting was disastrous calling into question the integrity of the process that must be objective. True leaders must lead by example!